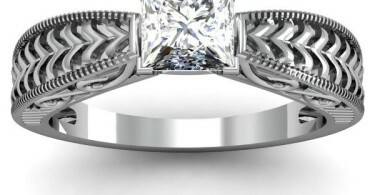 Choosing the perfect diamond ring can be a daunting task. Sometimes you just don’t where to start. You visit you local jeweler, visit the mall or attempt to shop on the internet. The options are endless. Most importantly, you are worried about whether she will like it or not. In this post, we’ll discuss 8 tips that will help you choose the perfect diamond ring. Many people have this incorrect notion that you need to spend 2 or 3 months of your salary for your engagement ring. Don’t fall into this marketing trap. Depending on your financial situation, you must decide how much money you can realistically afford to spend. Spending more money on the diamond ring does not lead to more happiness. Neither does the likelihood of her saying “Yes” increase the amount of money spent. Most people focus on the diamond Carat, which is the weight of a diamond. The centre diamond of an engagement ring can be anywhere between 0.2 to 1.0 carat or higher. Generally speaking, greater the diamond carat, the more expensive it is. But high carat weight does not mean better diamond quality. There are other equally important factors such as the diamond cut, colour and clarity. A diamond cut is not the same as the shape of the diamond. Diamond shapes are round, oval, cushion, princess, pear, marquise, so on and so forth. According to Gemological Association of America (GIA), diamonds come in Excellent, Very Good, Good, Fair and Poor cuts. Only choose “Excellent” or “Very Good” cut, as this will make the diamond sparkle. Unlike “single cut” diamonds, “full cut” diamonds have 56-57 facets. Single cut diamonds only have 17 or 18 facets (sometimes even less). Full cut diamonds have significantly more sparkle than single cut diamonds. Diamonds will no color are more expensive than diamonds with color (with the exception of fancy colored diamond such as pink or blue diamond’s). Simply speaking, you want to go with diamonds that are as colorless as possible. Similar to the Cut scale, there is a Color scale that ranges from Colorless, Near Colorless, D, E, F, G, H, I, J all the way up to Z. The sweet spot of diamond colour is G or H as you’ll get more value for your money. Avoid diamonds with J colour or lower. As mentioned earlier, diamond Cut, Color, Carat and Clarity are equally important. The fewer internal or external “birthmarks” a diamond has, the better the Clarity. The Clarity scale ranges from Flawless, Internally Flawless, VVS, VS, SI, and I.
VS clarity or higher is ideal where the “birthmarks” are not visible to the naked eye. Flawless and Internally Flawless diamonds are rare and very expensive. Avoid SI and I clarity diamonds. There are many different type of diamond settings to pick from. The setting of a diamond is a matter of personal taste and you can’t really go wrong. Before picking a ring, it’s important for you to know if your girlfriend prefers certain diamond setting. Refer to the chart before for inspiration. 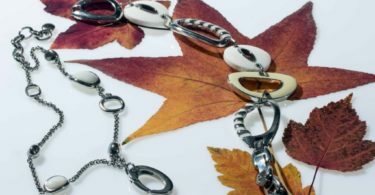 Everyone talks about working with a trusted jeweller. But what does this mean? You want to find a jeweler who is reliable with high moral standards. The power of internet gives us access to Yelp and Google reviews of any local jeweler. Work with jewelers who have high ratings from other buyers. For larger jewelry brands, read their “About Us” and see if their story resonates with your personal values. You should work with that jeweller respects you. In other words, the jeweller should be willing to help you find a ring that meets your budget. You should not feel rushed or pushed into make a decision. The jeweler should patiently and clearly answer all your questions, particularly related to the diamond cut, carat, color and clarity. You must have a clear understanding of return and warranty policies. Choosing a perfect ring does not end with your purchase. 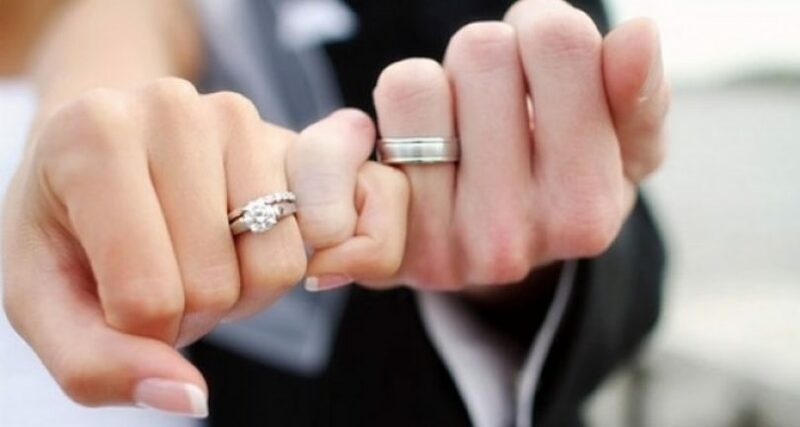 If your girlfriend does not like the ring, you want to be able to return or exchange it. Most jewelers will offer have a return or exchange policy. At a minimum, you want to work with jewellers that offer a 14-day return policy with no questions asked. Ask the jeweler if the diamond is natural or synthetic. Synthetic diamonds are man-made and not formed in the earth. Synthetic diamonds are approximately half the cost of a natural diamond. A famous jeweler Tom Shane once told me, “Is you love is natural? Is your love not real?”. I’m assuming your love is natural and real. If so, buy a natural diamond. Kunal is part of the Sampat Jewellers Inc., a family business since 1977. He writes regularly about diamonds and gemstones to increase consumer awareness and education about fine jewellery. Kunal also enjoys interviewing industry gem and gemology industry experts. In his free time, he enjoys raising backyard chickens. You can find him on Instagram. It really helps to decide which engagement ring to buy. Also it clear the way that where to purchase an engagement ring. Thanks for this helpful information.